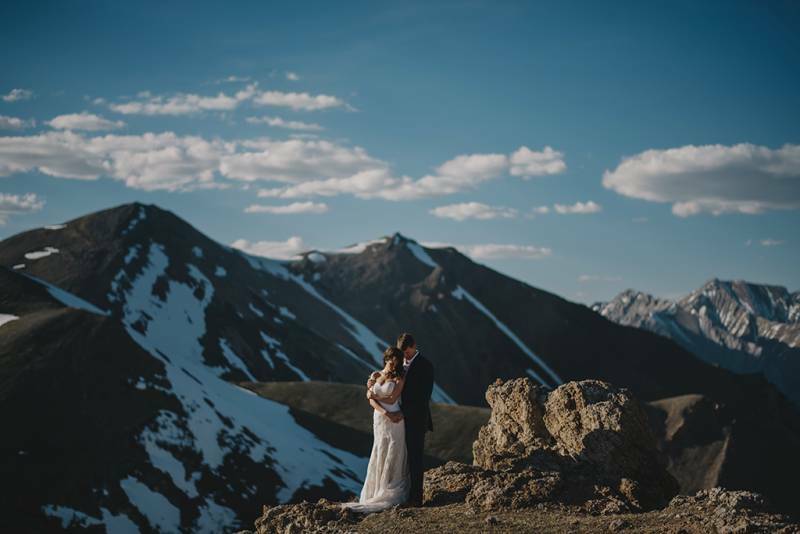 This beautiful couple flew in from the United States ready to spend time amidst the awe-inspiring Rocky Mountains. 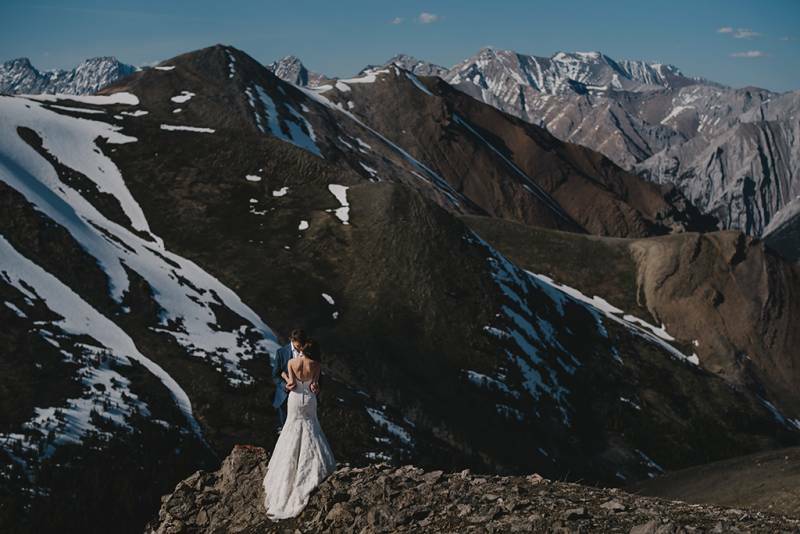 They knew they wanted to create an epic day, something they could never forget, and capture grand wedding photos of the two of them at the same time. 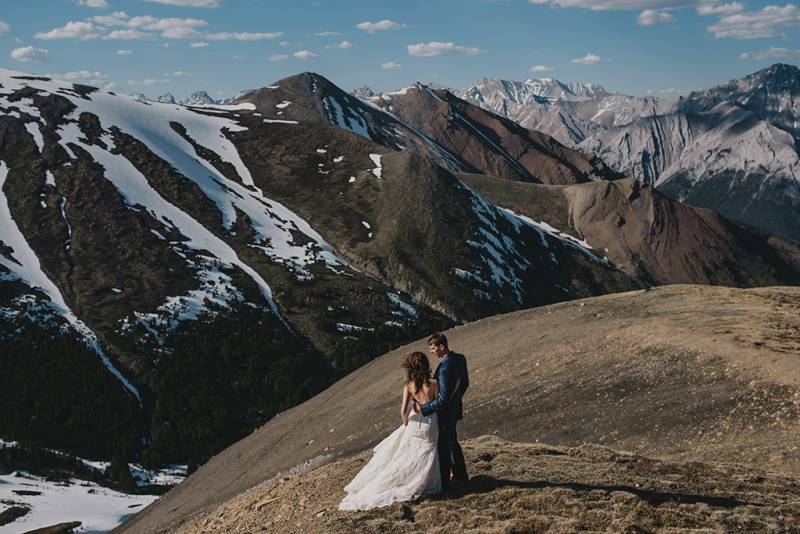 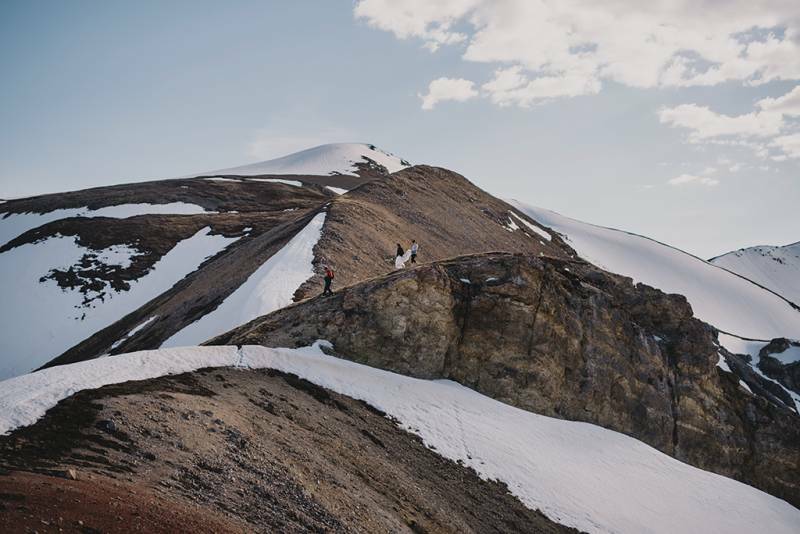 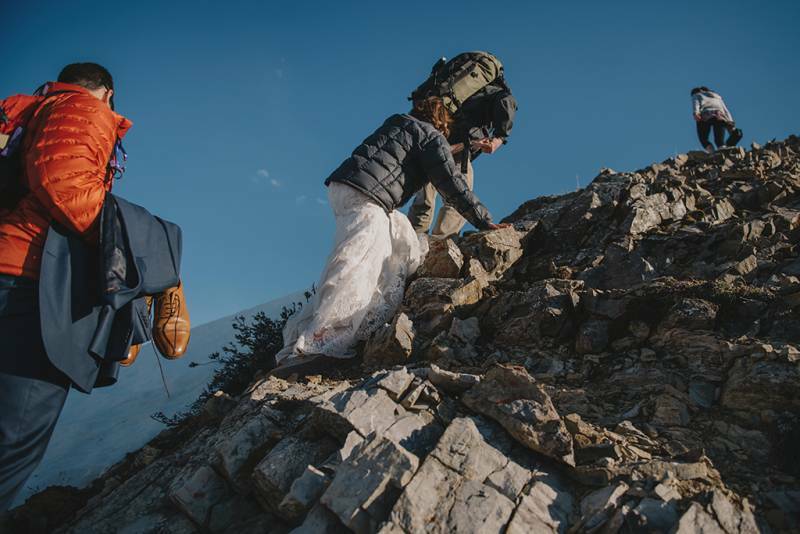 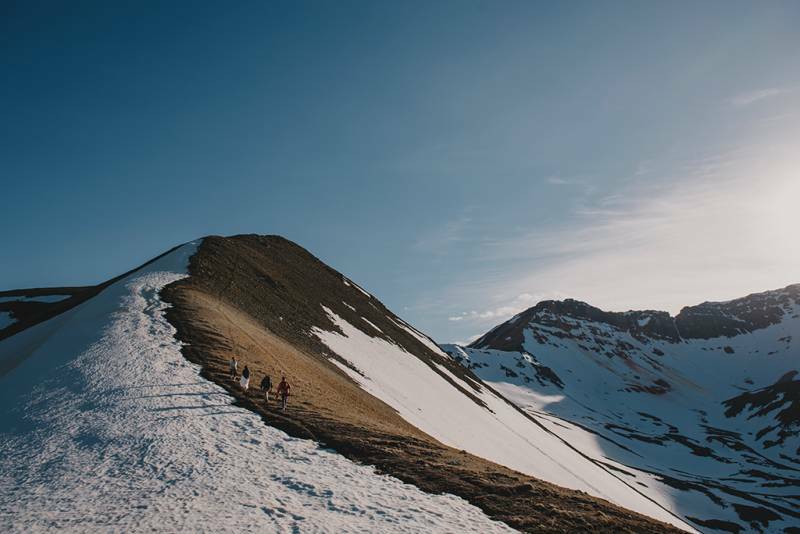 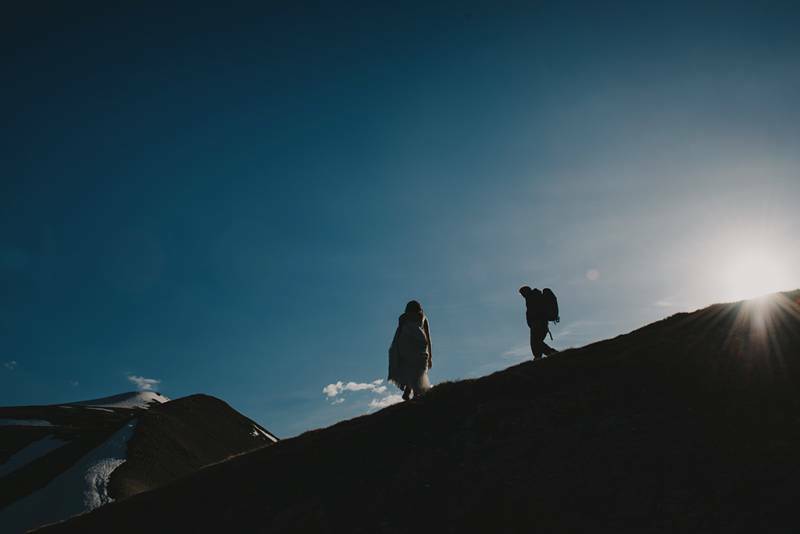 In order to achieve this amazing vision they decided to fly to top of the mountain peaks on an adventurous heli ride and brought along Gabe McClintock Photography to capture stunning photos of the journey. 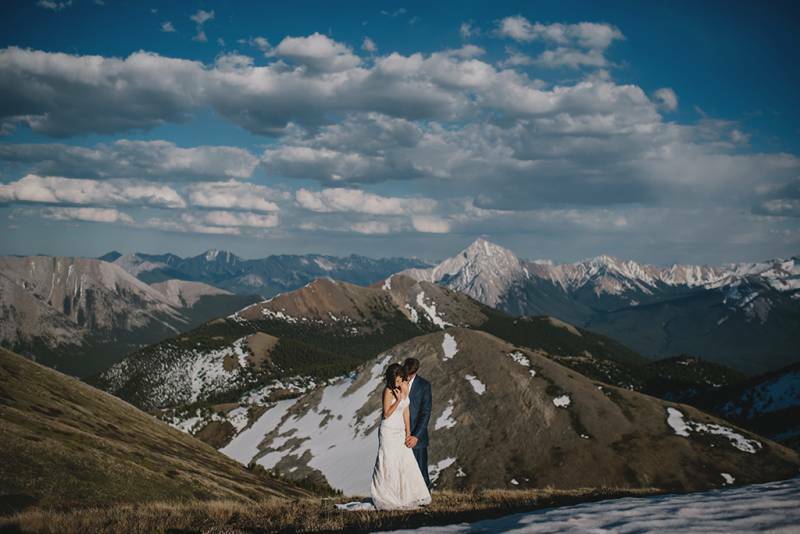 They chose Gabe because of his incredible photojournalistic style and his photos truly captured the vast beauty of their experience and love perfectly. 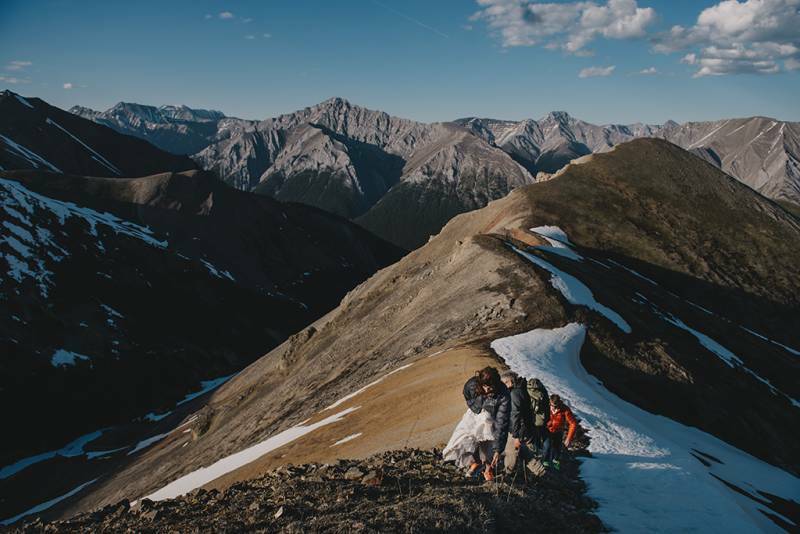 Behind the scenes of these magnificent heli wedding photos a team of experts helped organize the perfect locations and make sure the hair and makeup were absolutely perfect. 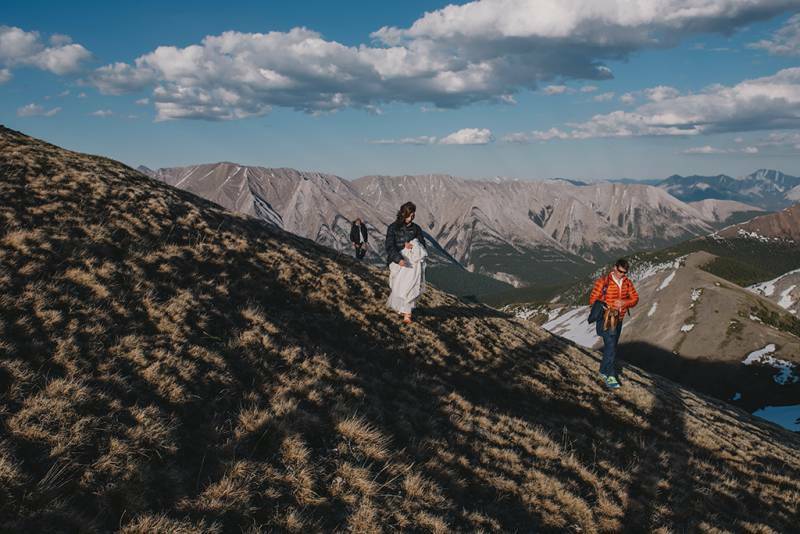 Jenna from Canmore Banff & Makeup Artistry coordinated the entire heli shoot, including the landing locations and photo spots with Rockies Heli. 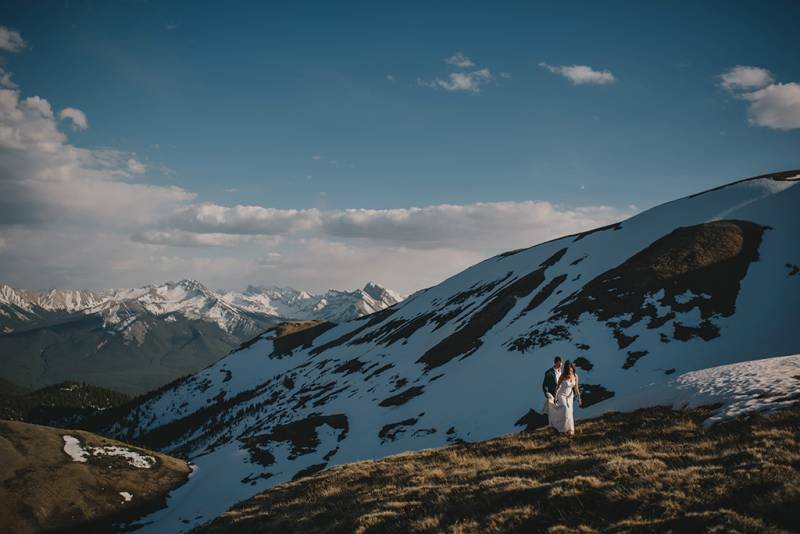 She also coordinated all of the beauty aspects for the bride, bringing JK Hair Designs along with her to ensure the bride's hair stayed beautiful throughout all of the wind and heli travelling. 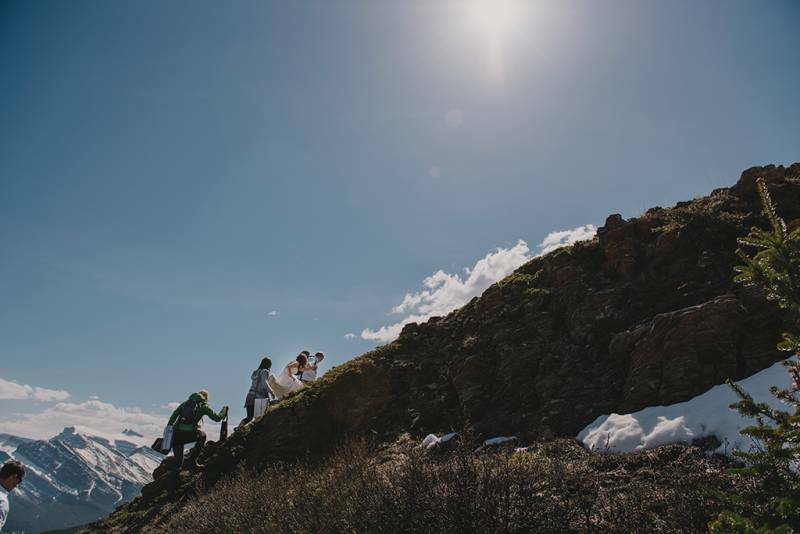 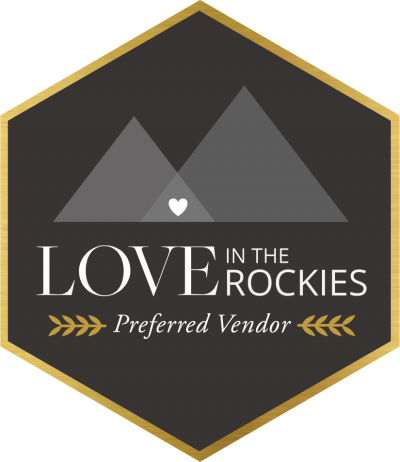 For the perfect heli wedding team it doesn't get much better than these amazing wedding vendors, all of their expertise and experience working with heli's and the elements on top of great mountain peaks is essential to create an experience you will remember forever along with epic photos. 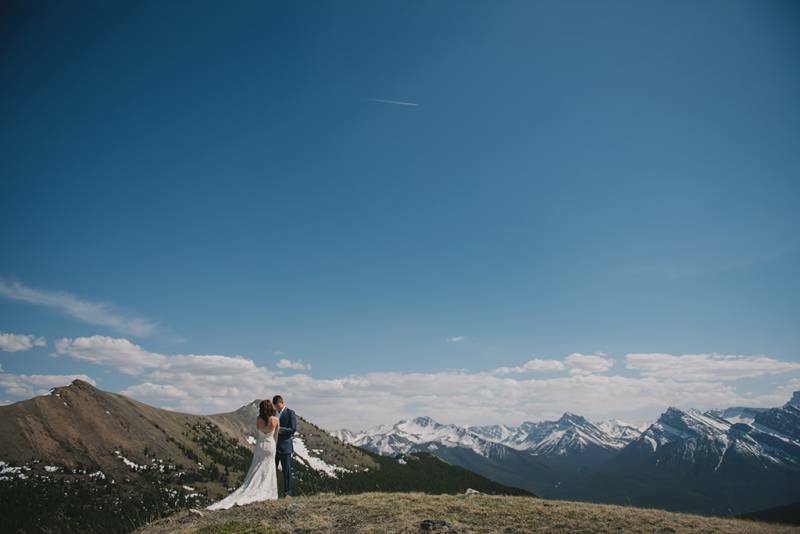 If you want to plan an epic Canmore wedding be sure to check-out our site for more amazing inspiration and photos.